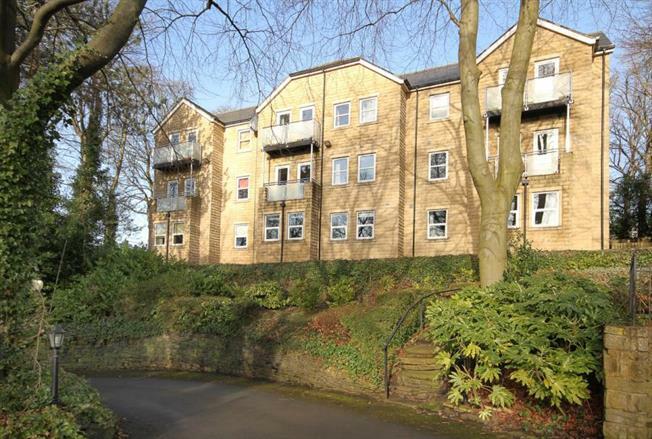 2 Bedroom Upper Floor Flat For Sale in Sheffield for £180,000. An internal inspection is imperative to appreciate the size, layout and standard of accommodation on offer in this stunning two bedroomed first floor apartment, nestled in the heart of highly sought after and convenient Tapton. having the benefit of double glazing, lovely views to the front, GCH, en-suite, allocated parking space and visitor parking. Tapton is one of Sheffield's most sought after suburbs, located between Broomhill and Crosspool. Having excellent amenities including well regarded public and private schooling, public transport links and access to the city, principal hospitals and universities, superb amenities in nearby Broomhill and Crosspool including shops, cafes, pubs, restaurants and supermarkets. The Rivelin Valley and Peak District offer walks and cycling. The accommodation comprises a communal entrance door opening to the communal staircase rising to the first floor. the entrance hall has wood effect flooring and built in storage cupboard. The spacious Lounge has wood effect flooring, and doors to the front opening to a Juliet style balcony offering lots of natural light and views, with spots to the ceiling and open plan aspect into the kitchen area, fitted with an excellent range of base and wall units in a modern shaker style with granite effect work surfacing and uplifts. Coming complete with inset sink, integrated oven, hob and extractor, microwave, Fridge and washing machine. The Master bedroom has wood effect flooring and windows to the front, an ensuite has walk in shower, sink and WC with tiled splash backs. Bedroom two has wood effect flooring with window to the rear offering flexible accommodation as second bedroom or study. The bathroom has three piece suite comprising WC, wash basin and bath having shower over and screen, tiled splash backs. To the exterior of the property, the development is set within well maintained communal grounds having allocated parking space and visitor parking.